A history of Tamil Tigers, or the Liberation Tigers of Tamil Eelam (LTTE). The Liberation Tigers of Tamil Eelam (LTTE), more commonly known as the Tamil Tigers, was a political and military group that had been trying to fight for an independent homeland in Sri Lanka since the 1970s. 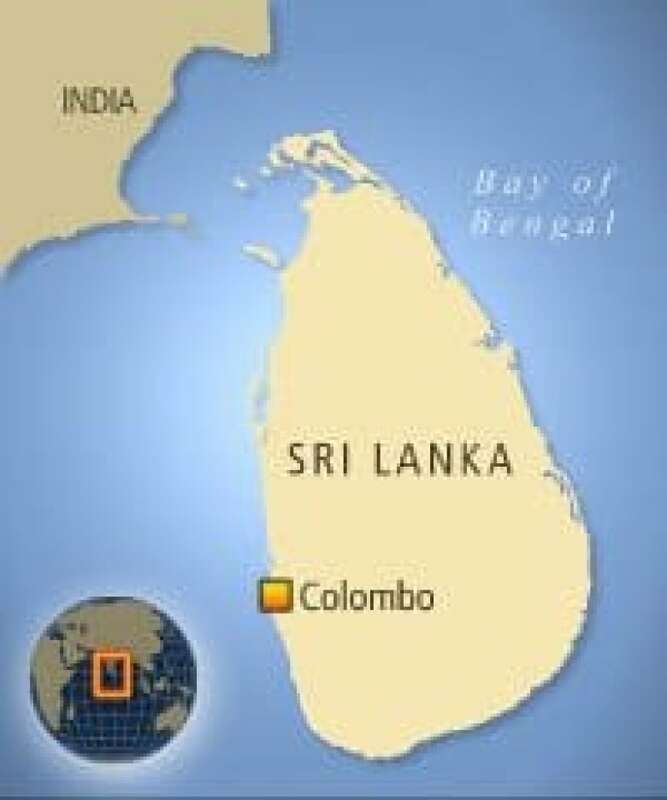 It emerged in response to tensions between the majority Sinhalese and minority Tamils in the island nation south of India. Tiger Organization Security Intelligence Service (TOSIS). Women's Combat Force of Liberation Tigers (WCFLT). The rebel group's roots can be traced back to 1974, when several Tamil militants created the Tamil New Tigers (TNT). LTTE was officially founded two years later, in May 1976, by Velupillai Prabhakaran and members of the TNT. LTTE, considered a terrorist organization by Canada, was known for its suicide attacks and was said to have pioneered the use of suicide vests. The Tigers were fighting for an independent state in the north and eastern parts of Sri Lanka, an area they refer to as Tamil Eelam, until the government declared victory over them in May 2009. In 1983, 13 Sinhalese soldiers in northern Jaffna were killed in an ambush by Tigers, sparking anti-Tamil riots that led to the deaths of an estimated several hundred Tamils. It also forced thousands of Tamils to flee the country. That marked the beginning of what the Tigers call the First Eelam War between the Tamil separatists and Sinhalese-dominated government. It was a civil war that would claim more than 70,000 lives over 26 years. In the 1980s, the Indian military service became involved in the conflict by helping train and arm the Tigers. In 1987, India and Sri Lanka signed an accord in which Colombo agreed to create new councils for Tamil areas in the north and east. It also reached an agreement with India to deploy an Indian peacekeeping force to curb the violence in northern Sri Lanka. But the peacekeeping force soon found itself embroiled in the bloody conflict and eventually withdrew. On May 21, 1991, a suspected female member of the LTTE assassinated Indian Prime Minister Rajiv Gandhi in the Indian state of Tamil Nadu in an apparent act of revenge against India for sending a peacekeeping force who ended up fighting the rebels. The Tigers have been known to use women and children in their suicide attacks. UNICEF, the United Nations Children's Fund, said they recorded more than 6,000 cases of children recruited by the LTTE between 2003 and 2008. The Tigers and the Sri Lankan government agreed to a Norwegian-brokered ceasefire in 2002 that a war-weary public hoped would bring lasting peace. But talks broke off in 2003 and violence flared up yet again. When the Boxing Day tsunami hit Sri Lanka in 2004, the civil strife was set aside as the country struggled to deal with the worst disaster in its history. About two-thirds of the damage was in the northeastern areas of the island, parts of which were then Tiger territory. However, in the aftermath the Tamil Tigers were reportedly preying on tsunami orphans to use as child soldiers, according to UNICEF. When billions of dollars in foreign aid flowed into the country for tsunami relief, the Sri Lankan Monitoring Mission brokered a deal between the Tamil Tigers and the government. The controversial agreement had the groups share responsibility for the money allocated for the disaster's survivors. But the Sri Lankan Supreme Court struck it down. In February 2006, the Tamil Tigers and the Sri Lankan government met for the first time since 2003 and agreed to extend the ceasefire. They also planned to meet again for more negotiations. But it didn't stop the violence. Among the deaths blamed on the fighting was a deadly sea battle on May 11, 2006, that claimed the lives of 17 soldiers and about 45 rebels. 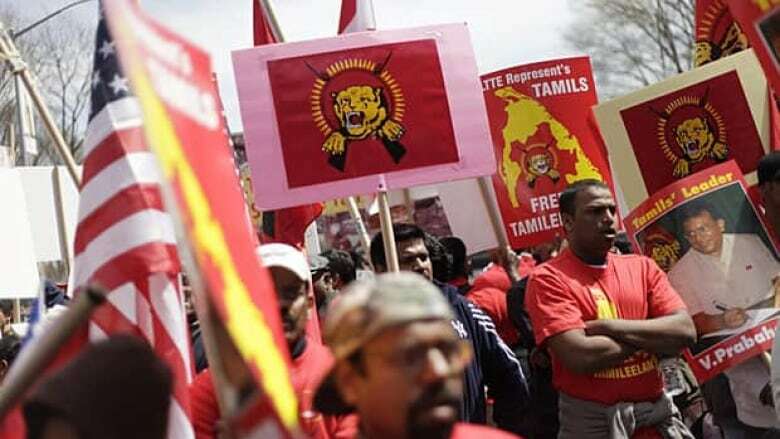 A Human Rights Watch report released in March 2006 said the Tamil Tigers were using threats and intimidation tactics to extort money from Sri Lankans living in Canada. Fundraisers, often working in pairs, knocked on the doors of Tamil families to solicit donations. The fundraisers were quoted as saying they were "collecting for the final war against the Sri Lankan government." The donation drive targeted Tamil families in Toronto, home to one of the largest Tamil populations outside Sri Lanka. "Tamils unable to pay say they have been told by LTTE fundraisers to borrow the money, make a contribution on their credit card or even re-mortgage their home," Human Rights Watch said in a news release. In April of 2006, the Canadian government added the LTTE to its official list of terrorist organizations for its use of suicide bombers and child soldiers in the conflict. The designation made it a crime to fundraise for the group. The Sri Lankan government officially ended the ceasefire agreement on Jan. 16, 2008. By early 2009, the Sri Lankan army said they had ousted Tamil Tigers from many of its strongholds in the north and said it was poised to defeat the rebel group in its heartland after the 26-year civil war. The government acknowledged wiping out sleeper cells across the country could take another two years. In April 2009, Sri Lanka rejected a call from the UN for a ceasefire, saying that would allow the rebels to regroup. But as the fighting continues, aid groups were worried about thousands of civilians who fled to an area declared by the Sri Lankan military as a no-fire zone earlier in the year and became trapped near the fighting. The United Nations estimated 150,000 to 190,000 civilians were trapped there, with dozens dying each day. Expatriate Tamils condemned the government's offensive, accusing the government of targeting civilians. Meanwhile, the Sri Lankan government accused Tigers of using Tamil civilians trapped in the north as human shields against the military campaign. International aid organizations accused both government forces and the rebels of breaking international humanitarian laws, and warned of a high rate of civilian casualties. A breakthrough for the Sri Lankan military came on the weekend of May 15 when it cornered the remaining LTTE fighters in a small slice of the country's northeast coast. On May 19, Sri Lankan President Mahinda Rajapaksa delivered a speech to Parliament declaring that his country had been "liberated" from terrorism after defeating the Tamil Tiger insurgents. That same day, the military offered up photographic proof that rebel leader Velupillai Prabhakaran had indeed been killed a day earlier. His death was seen as crucial to bringing closure to the civil war.